Ellery "decorated" and insisted on ringlets framing her face. Ellery our "born performer" had a great spotlight moment for her first flute recital. 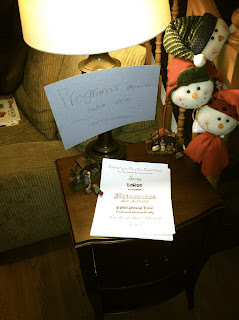 We had a conflict with her teacher's studio recital, so we decided to have our own. 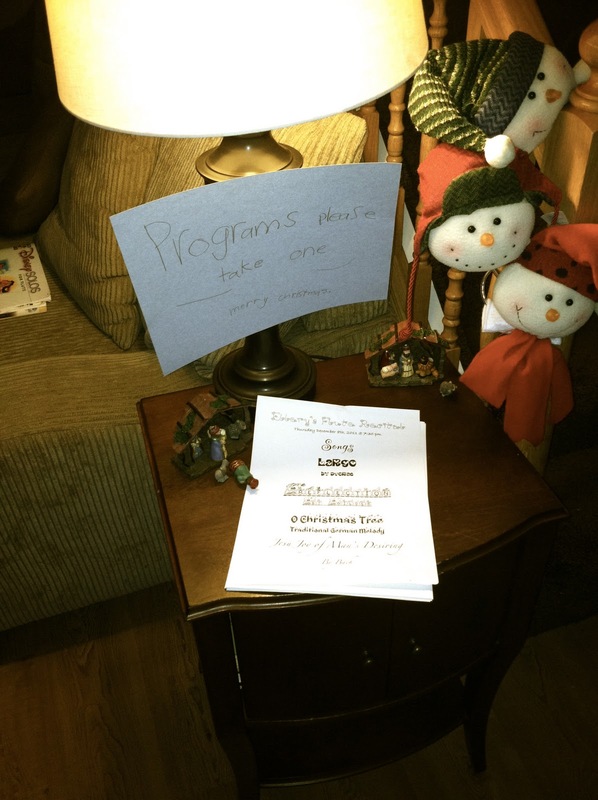 Ellery made up a program and invited her friends, cousins and neighbors. 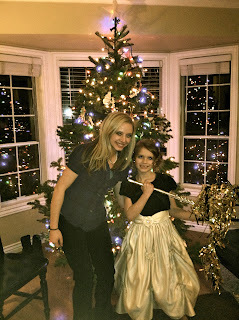 Amber, Ellery's fantastic flute teacher. The flute has been an interesting progression for Ellery. While I vigilantly practice the piano daily with the girls, I drew a limit at one instrument. She practices the flute alone. I know this is not even remotely as effective, but I just couldn't add another thing to my plate. Piano is so exhausting emotionally. So we set the kitchen timer for 45 minutes and she "practices." This usually happens while I am piano practicing with Callista. and example to my children. She accompanied Ellery. There are quite a few bathroom breaks and a lot of "Disney" sight reading, but at least she is playing and as you will see, in a year she has made quite a bit of progress. If we had a little more time to practice with her accompanist we could have worked out some of the kinks but when all was said and done, Ellery is a performer and she pulls out all the stops come show time. Ellery's teacher Amber, is working on her Masters Degree in Flute Performance at BYU. She is first chair in the chamber orchestra. I have been so pleased at the time and attention she gives Ellery. I found her by contacting the head of the BYU flute department. I interviewed about 6 potential teachers, and had them play for us. Ellery and I both felt Amber would be a perfect fit and we haven't been disappointed. "O Christmas Tree" Unfortunately sometimes I forget I have to keep my iphone a certain direction or my video's are cockeyed. Oops. This is the piece she learned in a day. I love the jazzy version! Marilyn, our weekly babysitter, is another blessing in our life. She is brimming with personality and talent. Each week when Brent and I return we coax her into a recital. It usually includes a little Debussy or Chopin, top notch! I love having my children exposed to such a darling, talented girl.